Since starting my business, I’ve had the chance to work on some seriously cool projects. It’s the beauty of being your own boss; I get to choose the type of work I want to do and the people I want to work with. That’s why I felt extra lucky in September when I began working with a dream client — The Write Life, a website for writers. As the managing editor for the site, I’m responsible for hiring writers, managing a robust editorial calendar, editing blog posts, SEO, running our Facebook community, handling our affiliate sales and manning our insane inbox. It’s a big job, and I love it. So when Alexis Grant, The Write Life’s founder, asked if I’d be interested in adding on an additional project, helping to coordinate and launch the 2017 Writer’s Bundle, I jumped at the opportunity. You know I love behind-the-scenes tell-all posts, so I’m giving you a glimpse into how Alexis (Lexi) and I worked together over the past few months to prepare to launch the 2017 Writer’s Bundle. First off, what the heck is a bundle sale? 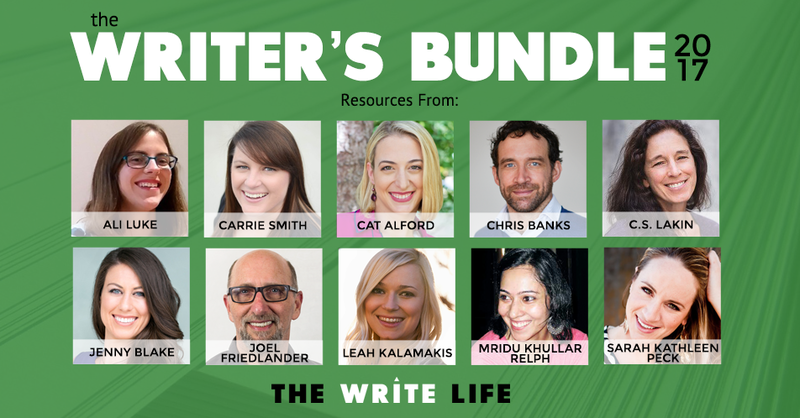 In the case of The Write Life, we’ve partnered with 10 well-known writers and bloggers with their own ebooks and courses who have allowed us to sell their products for a bundled price of $99 for four days only. Normally, the 10 resources included in the bundle would retail for nearly $1,700, but for the timeframe of the bundle, folks can grab all 10 products for just $99. It’s a pretty sweet deal. Why run a bundle sale? It helps our audience (in this case, writers). Ultimately, Lexi created The Write Life with the goal of helping writers. The Write Life has an extremely engaged community, and our readers constantly tell us they want to learn more about how to earn a living as a writer. The products in the bundle help writers do exactly that. This four-day sale helps to cover the costs of running the website. Because The Write Life has grown in popularity, that means the cost to run the site has increased over time. The bundle sale brings in a serious amount of income in a short period of time, helping us to cover the growing costs of running a high-traffic website. The Writer’s Bundle will bring a ton of attention to The Write Life over the next few days. The bundle sale will bring a lot of attention to the website, perhaps introducing us to those who weren’t previously familiar. This is a great chance to grow our audience! Now that you know what a bundle sale is, let’s take a look specifically at The Writer’s Bundle, which launched today and runs through Thursday. We at The Write Life bundled together 10 ebooks, courses and tools on freelancing, novel writing, self-publishing, marketing, editing and more. The 10 resources available through this bundle normally retail for nearly $1,700. For the next four days ONLY, you can grab the entire package for just $99. It’s called The Writer’s Bundle, and you can download it here. Can you see why I said this is an amazing deal? Go check out the details. Oh, and because I value this blog community so much, I’m sweetening the deal! If you’re interested in the bundle and purchase it through my link, I’m throwing in a bonus! When you purchase The Writer’s Bundle using my affiliate link, you’ll gain access to a one-hour group Pick My Brain session call. You’ll have the chance to submit your questions about freelancing, starting a business or anything else that’s on your mind ahead of our call and I’ll answer as many as I can during our hour together. If you miss the live call, a recording will be available, so no worries! If you purchase the bundle using my link, please email me your receipt so I can send you your bonus goodies! Since this was the third year The Write Life ran the Writer’s Bundle, Lexi had a pretty good idea of what we’d need to do and how far ahead we’d need to work to ensure the sale was a success. Starting in December and leading up until today, here’s what we did, step-by-step, to launch The Writer’s Bundle. Select a date for the sale. We settled on April. However, we did encounter a bit of a snafu when we set the date, shared it with our creators and affiliates, and then realized only last month that the date we selected fell over Passover. We changed the date to a week earlier, meaning all of our deadlines had to be moved up. Yikes. In the future, we’ll definitely be sure to carefully check the calendar to avoid holidays. Compile a list of potential products to include in the bundle. This step took A LOT of research and digging to find NEW products that hadn’t been included in either of our past bundles. Determine how I’d be paid for my work on the bundle since this project falls outside the scope of my managing editor duties. See the next section below for details on how I’m being compensated. Approach creators to see if they’d like to have their product included in the bundle. Lexi let me know that in the past, this step proved tricky because the bundle was somewhat new and people weren’t as familiar with The Write Life, but this step went seamlessly this year, thanks to many people already being familiar with the bundle from past years. In approaching creators, we had to explain the benefits of having their product included in the bundle. After all, some of the products included this year retail for more than $200 — why would someone let us include their product in the bundle when we wouldn’t be directly paying them AND we’d be offering their product at a serious discount? That’s where affiliate marketing comes in! Those who have their product included in the bundle make 50% ($49.50) for every sale of the bundle they make. In the past, creators with big audiences have walked away with thousands of dollars AND many more eyes on their work. Compile an initial list of potential affiliates. We pulled from our list of past affiliates, those included on our 100 Best Websites for Writers list, folks in both of our writing networks, as well as pulling from a list of popular Facebook writing groups. Send an email inviting folks to come on board as an affiliate. This resulted in a lot of back and forth with tons of people, answering questions and explaining how the bundle works. Carefully track affiliates in a spreadsheet. This year, we ended up with nearly 35 affiliates. Collect materials from creators included in the bundle. This step was tough! We had to collect information from the 10 creators in the bundle, including their name, name of product, produce retail value, description of product, bio, headshot and actual product. We created a Google form to easily collect information, and as creators submitted their information, I immediately places their headshot and product into Google Drive folders, and copy and pasted their bio and product information into our sales page template. Review all products included in the bundle. Of course, when we made our initial list of products to include, we made sure those included had a good reputation and that their product had positive reviews, but to do our due diligence, I reviewed every product in the bundle. That meant watching videos, scanning through ebooks and reviewing course materials; I felt lucky to have the chance to get to review such awesome products, but this step definitely took some time! Swipe file for affiliates: to help make this process as easy as possible for those helping to sell the bundle, we provide them with marketing copy so they don’t have to write it themselves. Set up delivery mechanism (we’re using Ejunkie). Make sure creators and affiliates actually grab their affiliate link. This whole thing won’t work unless people help to sell the bundle. Yes, affiliates have confirmed their participation, but it doesn’t become real until they actually grab their link. I spent the past two weeks chasing down affiliates and confirming their participation in our master spreadsheet. Create a Facebook group for affiliates to share ideas and ask questions before and during the bundle sale. Record welcome video for affiliates. I had to get over my fear of being on camera to film a quick video welcoming and thanking our affiliates. LAUNCH THIS THING! After months of work, I’m super excited that The Writer’s Bundle 2017 is LIVE! This week, I’ll be living in my office making sure I’m available to answer questions and troubleshoot as inquiries come in. Our team will be communicating via Slack so we can chat in real time. After the bundle sale closes, we’ll have to pay out our affiliates once final numbers are in. Now for the juicy details I’m sure you’re dying to know. How am I being paid for this project? Typically, when I work with clients, I work on a retainer basis, meaning they pay me a flat amount per month to do a set amount of work. That’s how The Write Life pays me for my managing editor role. However, this project is a little bit different. Lexi asked if I’d want to be paid on commission, meaning the harder I work to make this sale a success, the more I have the opportunity to earn. I liked this idea, but also wanted to ensure I was compensated for my time upfront, so Alexis and I agreed on a monthly project fee + commission. That means, I invoiced The Write Life a set amount in February, March and April, and at the end of the sale will earn an additional bonus based on how well we perform. Since The Write Life has run this sale in the past, Lexi has some pretty solid data and was able to make projections about what we’ll earn this year. She provided me a breakdown of my commission, with the percentage increasing once we hit certain financial milestones. Pretty cool! After looking at both figures, it was clear the answer was yes. On the highest end, I have the chance to earn more money from this project than I sometimes do in a month of running my business and on the lowest end, I still make enough to cover my time/effort, and I’ve learned a ton in the process. It’s a win-win. I’ve never worked on commission before, but honestly, I’ve been very motivated throughout this whole process, knowing that the more effort I put in, the more I’m able to earn to grow my business. The bundle is live and all of the hard work me, Alexis and the team have put in over the past few months will hopefully come to fruition. 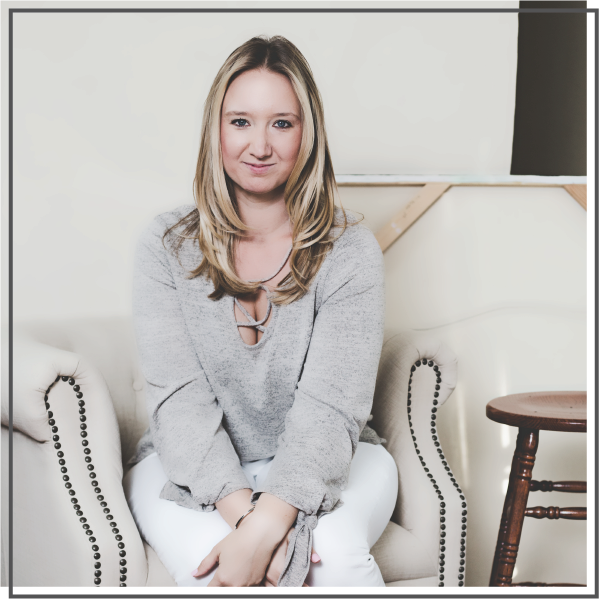 Lexi’s super smart husband Ben Collins built a dashboard that will allow us to watch the sales roll in…and to see where exactly the sales are coming from. #NerdAlert, but I’m pretty pumped to see the results! 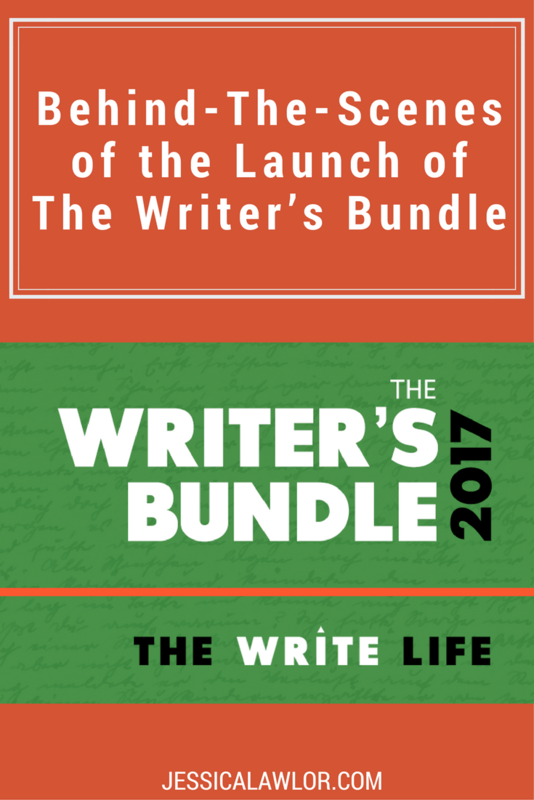 Most importantly, I can’t wait to hear what The Write Life community thinks of the bundle. I’m extremely proud of it, and I hope they (and YOU!) love it, too. Do you have any questions about the 2017 Writer’s Bundle or what it takes to run a bundle sale? I’d love to answer them in the comments below! *Disclosure: Obviously, as mentioned above, when you purchase The Writer’s Bundle through my unique affiliate link (any link included in this post) I will receive a commission (at no extra cost to you, of course). When you purchase The Writer’s Bundle through my link, that means you’re supporting me, my blog and my business — making it easier for me to continue providing awesome and free content for you on the regular. Thanks for that! Want more gutsy content delivered straight to your inbox twice a month? Be sure to sign up for my FREE #GetGutsy e-newsletter filled with inspiration, ideas and action items to get out of your comfort zone.